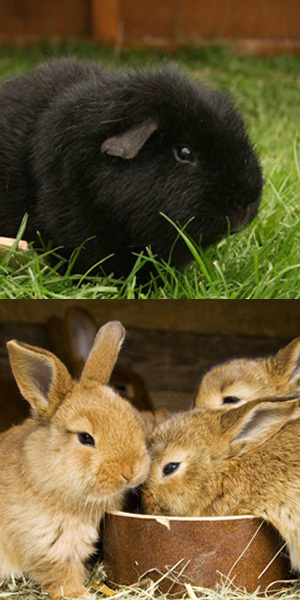 At Country Cats we are pleased to now offer 'Sawdust and Hutch' Rabbit & Guinea Pig Boarding which is new for 2012. This service will be available during the months of April to September..
We have a number of secure, well constructed hutches and runs to house your Pets. During the day, subject to weather conditions, we will place your pets in an outside run for their exercise and social enjoyment. Their hutch will be cleaned daily and supplied with fresh food as well as dried. The dried mix we supply is Gerty Guinea Pig, but because of guinea Pigs sensitive dietary requirements if you have another preference you are welcome to supply it and we will be happy to follow your instructions. To make a booking or enquire about prices please give us a call or send an email.